Luxury handbag designer Sophie Hulme is to open her first permanent standalone boutique this spring, taking a space on Chiltern Street, the Marylebone Street that is attracting more and more fashion brands.Landlord The Portman estate said Thursday that menswear brand Dashing Tweeds will also relocate its Mayfair shop to nearby Dorset Street. Sophie Hulme has taken 710 sq ft at 38 Chiltern Street on a 10-year lease. 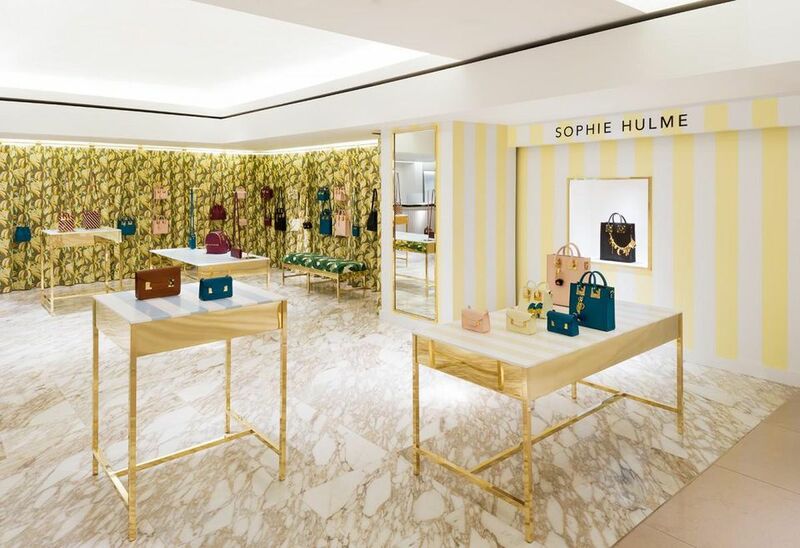 The store will become the designer’s first permanent boutique, housing the brand’s full collection of handbags including its signature Albion tote. Her collections are currently stocked in a wide variety of department stores and independents globally. In London, they’re available in Harrods, Matchesfashion and Selfridges and she also has a long-term pop-up in London’s Burlington Arcade. Her arrival on Chiltern Street make her the latest in a line of independent accessories brands that have been attracted to the location in recent years. These include Anna Laub’s luxury eyewear, swim and resortwear brand Prism; curated homeware and accessories boutique Mouki Mou; jeweller Cox & Power; and Mats Klingsberg’s Trunk Labs. The 12-year-old brand is known for its collaborations with a number of big name labels such as Converse, Fred Perry and Nike Lab. And it’s a favourite of movie costume designers who used the brand’s fabrics to dress Hugh Grant in Paddington 2 and Daisy Ridley in the recent Murder on the Orient Express remake. As well as being a magnet for independent brands, Chiltern Street and its environs have become known for their strength in menswear and this is clearly a big part of its appeal for Dashing Tweeds. In recent years the area has attracted John Simons, Hamilton and Hare, Sunspel, and Trunk Clothiers, among others.